Roee Magdassi is a 27 year old industrial designer from Jerusalem, Israel. He believes design should be practical, striving for simplicity and straightforward. He tries to design products that are desirable, fun. Products that make you smile. It’s easy to make simple things feel complex, but it’s difficult to make complex things feel simple. 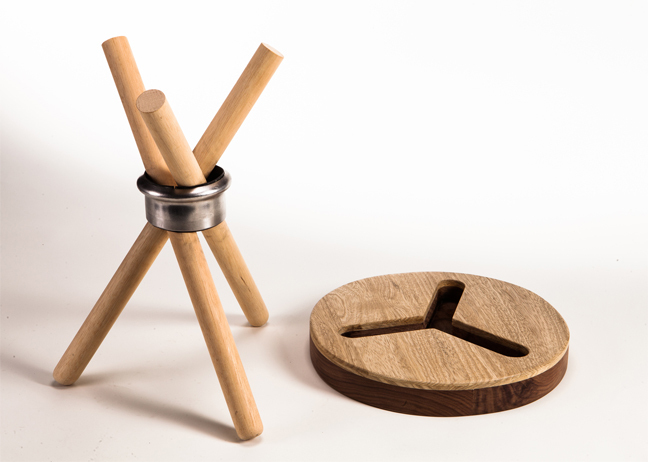 Y Stool is a tripod stool which is very simple to assemble, disassemble and store when not in use. 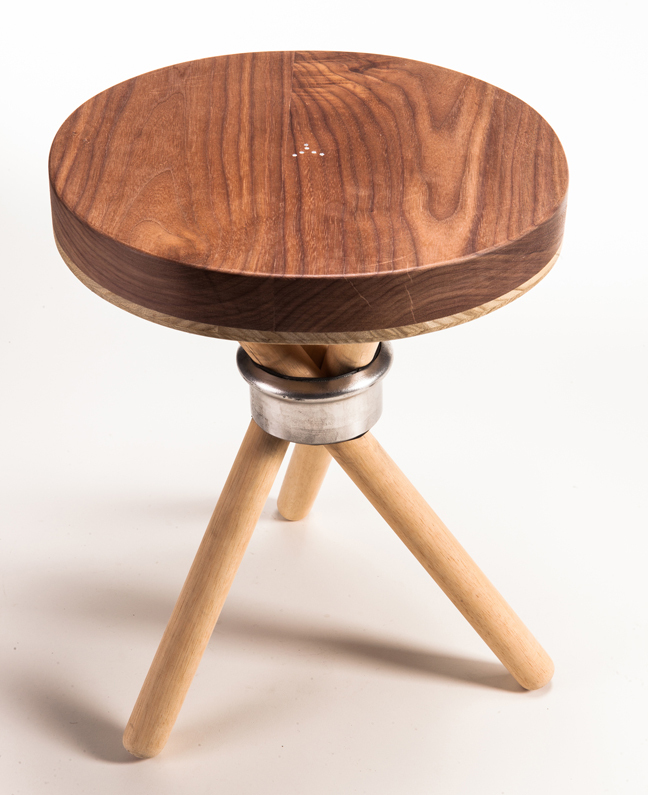 Three wooden legs and one stainless steel ring enable the structural strength when assembled. Y Stool has a unique, but yet, minimal and simple appearance, what makes him suitable for any room at home. Its structure enables minimal size of packaging and doesn’t require any screws or other external connector. 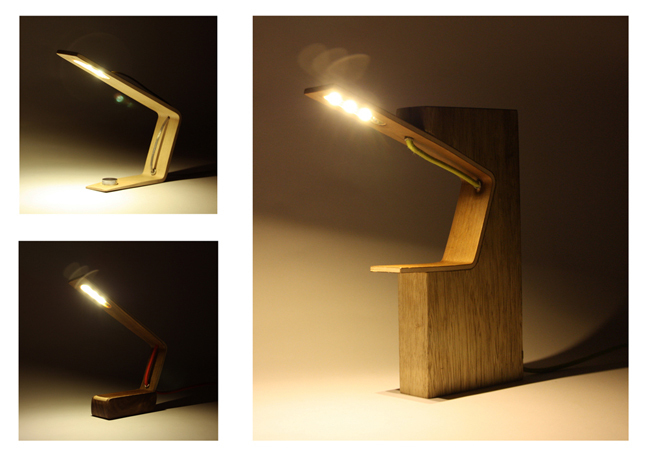 Light Wood is a series of LED table lamps which was created while the production process is based on combining “low-Tech” and “Hi-Tech” technologies. Each lamp shares the same base, which is made of a veneer lamination molding that enables an efficient process and a low cost production. Different hardwood and metal elements are later added to that base, granting each lamp its unique appearance. The embedding of a sophisticated LED technology within the traditional wood lamination process creates a unique structural effect of a thin wooden lamp, which blends gently in the modern home environment. Creachair is a chair which may be used in two different ways. On one hand, while seating in a regular position it keeps a clean and minimal appearance which fits the “grown-ups” world. On the other hand, this simple shape intrigues the imagination of the kid and “turns” the chair into an unknown creature. The kid can sit on it opposite to the adult position and swing while using it as a rocking chair. The shape and radius of the rockers is based on moderate angles, enabling rocking when needed but also provides comfort and stability while sitting. The Main body is made from colored laminated wood, and can be easily assembled and disassembled from the rockers (Using a few screws). 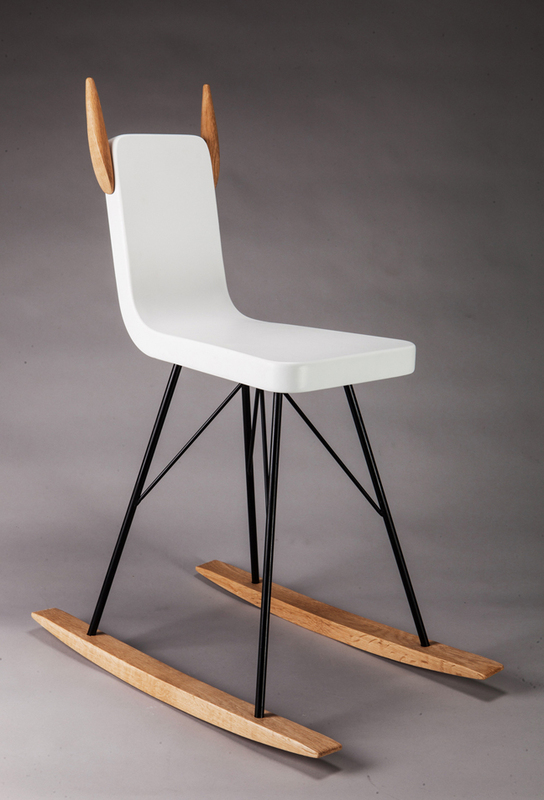 The Legs are made of steel, and the rockers and the “ears” are made of solid oak. 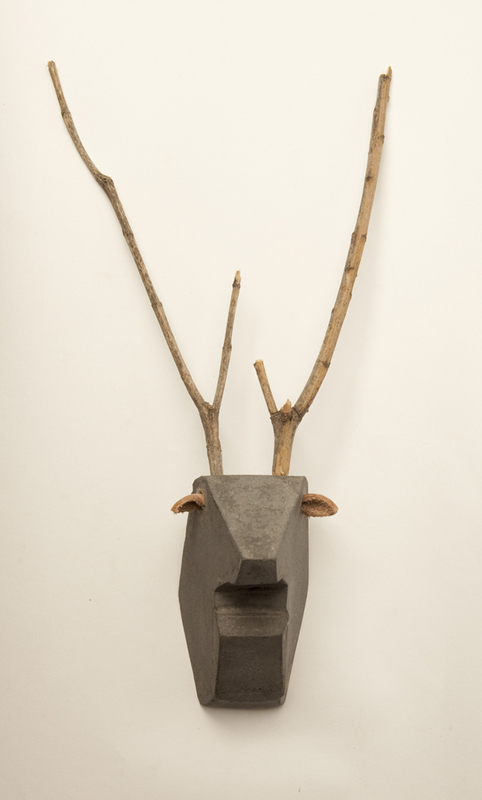 Domesticated Wild is a series of head trophies, based on low-tech technologies and designed in collaboration with Lilach Greenblatt. Roee Magdassi combined local materials that he found in the Dead Sea area, such as branches and leather with industrial materials he brought from the workshop- plastic and concrete. He wanted to create tension, walking on the border between the domesticated industrial world and the unexpected wild. He built disposable molds (made of cardboard and aluminum foil) of two figures: a deer and a walrus, intended for two technologies- plastic rotation and concrete casting.